Aligning corporate culture with strategic planning gets executives and mangers the buy in they need to boost productivity and profits. 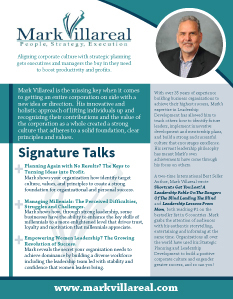 Mark Villareal is the missing key when it comes to getting an entire corporation on side with a new idea or direction. 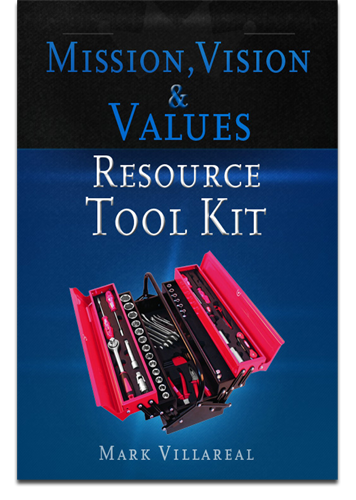 His innovative and holistic approach of lifting individuals up and recognizing their contributions and the value of the corporation as a whole created a strong culture that adheres to a solid foundation, clear principles and values. With over 35 years of experience building business organizations to achieve their highest success, Mark’s expertise in Leadership Development has allowed him to teach others how to identify future leaders, implement innovative development and mentorship plans, and build a strong and successful culture that encourages excellence. His servant leadership philosophy has meant Mark’s own achievements have come through his focus on others.